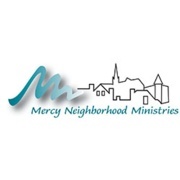 Mercy Neighborhood Ministries, located in East Walnut Hills, promotes the empowerment of individuals with a special focus on disadvantaged women and seniors through proven programs that educate; foster self-sufficiency; and support enhanced quality of life. The gift from the Cincinnati International Wine Festival helps support our Home Care Aide Training (HCAT) Program. The HCAT program is a comprehensive four week program that prepares women and men striving to attain self-sufficiency to work as home care aides. Upon graduation, our students provide compassionate home health care to older adults living in inner-city neighborhoods, many of whom suffer from poverty, infirmity and loneliness. It is a win-win situation—aides benefit from steady, meaningful employment and the clients have dependable, compassionate care that allows them to “age in place” in their homes. Below is the story of Sakinah Lewis and the impact Mercy Neighborhood Ministries has had on her and her son’s life. For Sakinah Lewis, the birth of her son Mikkel has been her motivation to seek a better life for both of them. Now each day she is progressing step-by-step – with the help of Mercy Neighborhood Ministries. “He’s the center of my life,” she says with a broad smile. In early 2012 Sakinah took her first step by participating in MNM’s 13-week Building Foundations for Life program (BFL). “Completing that class gave me the skills and tools to continue succeeding in my life,” she says. With that determination, she achieved acceptance into the Home Care Aide Training program (HCAT), and earned her certificate as a qualified home care aide. “I learned how to work dependably with people,” she says. “And I love working and doing hands-on care.” Very shortly after graduation she gained employment at MNM’s own Home Care Services. Sakinah’s progress because of MNM services also helped her set another goal of continuing her education to be able to work in a hospital. “I’d like to be a nurse someday,” she says. So without hesitation she is taking another big step forward by committing herself to complete MNM’s GED program. The successes Sakinah has achieved at MNM over the past several years were not her first encounter with the work of Mercy Neighborhood Ministries. When she was a child, her mother, Teresa, worked as a home care aide for 16 years. Now that Sakinah herself is involved at MNM, she finds her days are very, very busy. Every morning, after walking her three-year-old son to daycare near their home, she takes a bus to MNM. There she attends class, focusing on math or English; then she concentrates on further study with classmates and the help of volunteer tutors. By noon she’s on a bus again, to care for her home-bound clients. She greets the driver and exchanges some comments with passengers she sees every day.